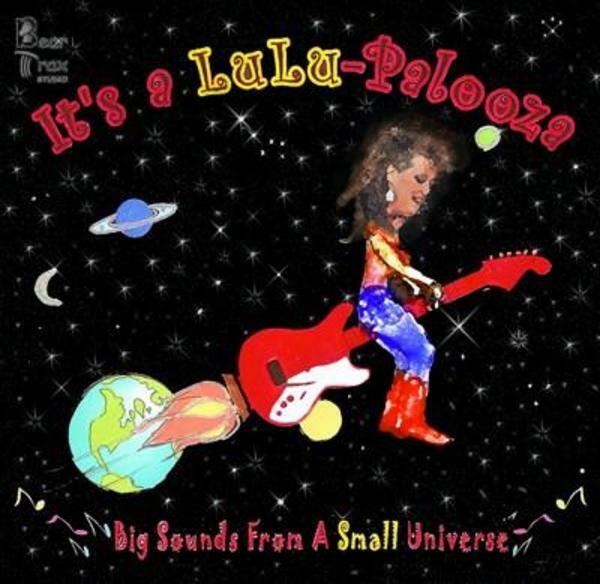 "It's a LuLu Small World"
LuLu's first CD release was recorded in 3 days in a small studio in Mill Valley, California in June of 1995. LuLu was working in Cabo San Lucas at the time and took a week off to fly up and get the sessions done. All songs on this release are LuLu's originals, composed and compiled from her collection of over 40 years of writing. This CD represents LuLu's amazingly versatile talents as both a songwriter and unique vocalist. There are 12 songs, including her most requested tunes, "Back To Cabo" ; "Mama Never Told Me"; and a very short ending tune called "It's a Wrap". LuLu sold out of ALL 1200 original CD's and tapes in less than a year, and has been pressing more as they are requested! To date LuLu Small has sold well over 5,000 copies of "Small World" !!! All CD's Only ~$15.00 each!! You can now order CD's here through PayPal, or via email: go back to the "Contact Us" page, send us an email with your request and LuLu will burn as many as you need until the NEXT CD release hopefully by late winter or early spring 2018! Price includes shipping, packaging, and handled with love and care! Be sure to send one to a friend! Thank you!!! This unique "Legendary knife of the Arctic" is NO LONGER available here or at LuLu's gigs...they are all sold out! Custom made for LuLu in 2011 for her benefit, they have her name and face on the handle, and was sponsored by "The Shack" in Wasilla, AK, and "Ogre's" in Big Lake, AK. Donations are still being accepted to help with various expenses still related to those surgeries. Thank you for your help! A uniquely different kind of artist, LuLu's brother Tim "Tall-Small" actually uses pens, pencils, charcoal, paints, and paper to create his one-of-a-kind HAND-DRAWN art !!! The only computers used are for reproduction!!! *For more pictures please send an email request. I am just now getting a portfolio of his work together and will be posting pictures soon. There was a very beautiful "Tribal Alaska" piece (framed & matted 5x7) at the benefit that sold for $60! **P.S. The "single eye and squiggle people'' are his signature characters, and have been seen in many other locally commissioned works! 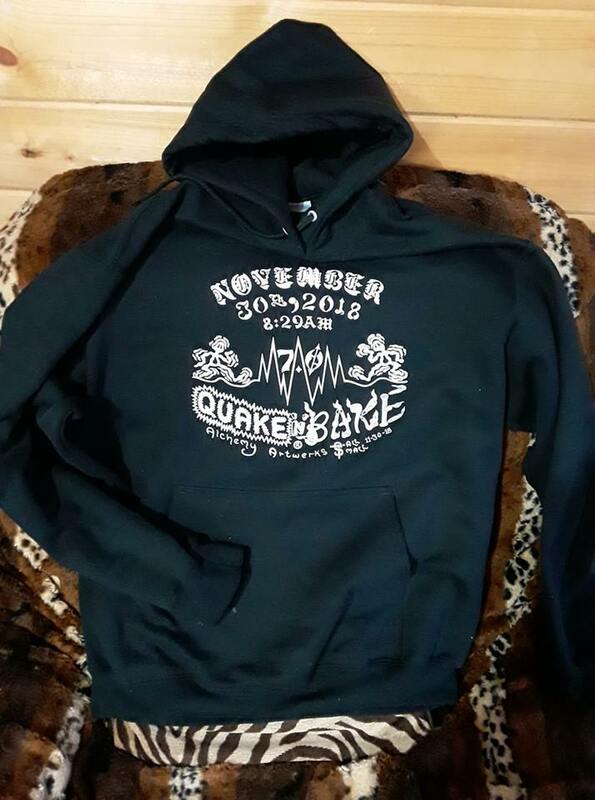 Uniquely designed for Alaskan winters and blatant cannabis fashion! Made of polar fleece, and IN Alaska by LuLu personally! All items are custom-made-to-order unless purchased at one of 2 outlets in AK ("The Look" in Anchorage and "Spit Tobacco Shop" in Homer). 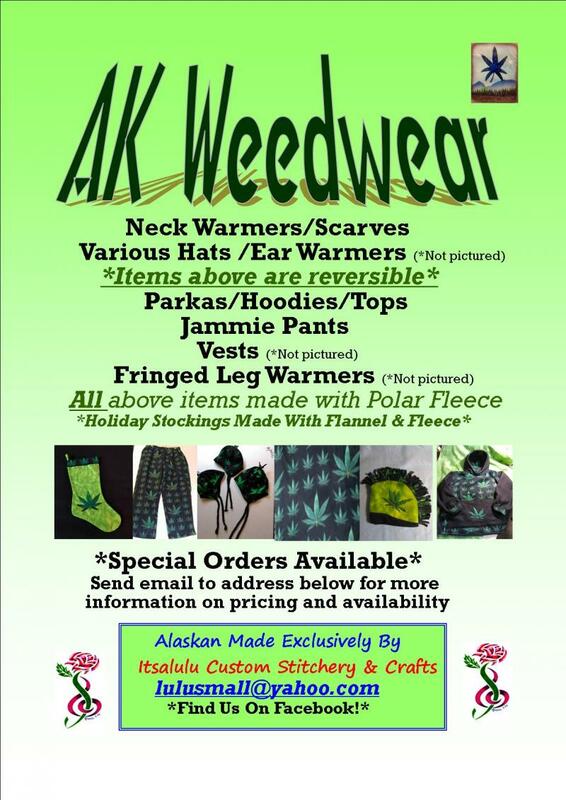 Stay tuned for more items of AK Weedwear as the fleece flies! Unique hand drawn artwork by brother Tim "Tall" Small in remembrance of the 7.0 earthquake in Alaska on Nov. 30, 2018! The "bake" word is made of 'smokng utensils' (pipes, doobs, etc.). Some have glow-in-the-dark lettering (light blue in color), most are white lettering on black hoodie. Limited supply & sizes M-L-XL only. 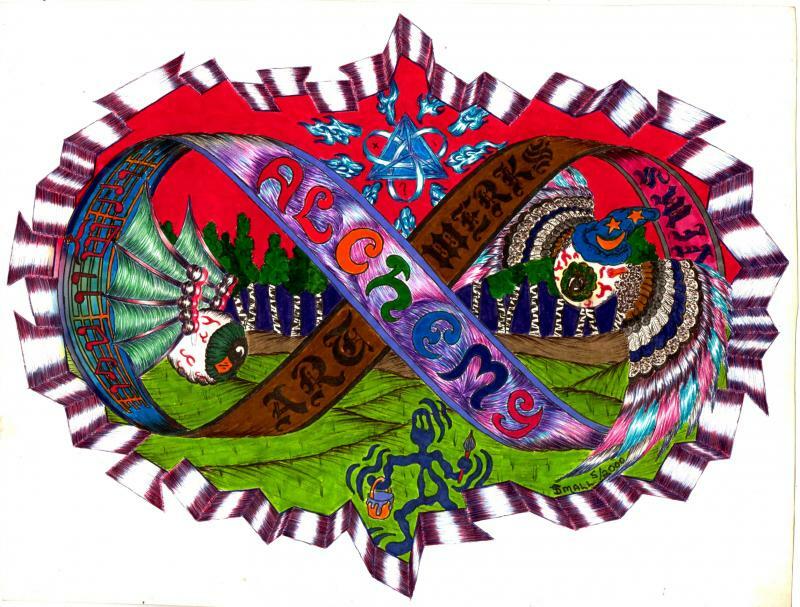 This is LuLu's second CD release, recorded in Alaska in 2005 at Bear Trax Studios. This collection is more rocking, bluesy, and full of another generous helping of her songwriting versatility, inclusive of LuLu's one-of-a-kind humorous delivery of the Alphabet Backwards!!! Kicking off the CD is her high-energy, hard driving Alaskan anthem "Rockin' The last Frontier", which was written well over 25 years ago when she couldn't believe she was "still here" and also now featured in a local movie production "Moose The Movie"! Also included is her very special versions of the National Anthem (instrumental, LuLu plays like Hendrix, sort-of...) and "Scotch & Soda", the more 'schmaltzy side' of LuLu, and only song she did NOT write! All in all LuLu Small is a unique artist that the music industry has yet to discover, and has no idea what they are missing!!! You too can find out by ordering one or more CD's today, and booking a live show! I have one of LuLu's CD's from when she played in Cabo...and it always brings me back there! LuLu's music is full of life, energy, love, and experience---from the soul of an Angel! LuLu Small should be Alaska's REAL representative of music--her talent goes far beyond all others! I have both her CD's, and can't wait for MORE MORE MORE!! She writes about MY life, too! I heard her song 'Back In The Blues" on the local radio and just HAD to get the CD! Loved it so much I orderd them both! I ordered some of LuLu's first weedwear and it is the warmest stuff on the planet! AND it makes me look cool! Lulu made me and entire personalized batch of weedwear, even though I live in New Mexico it keeps me warm in winter at night and when I go skiing at Taos! Best winter clothing ever! I just got LuLu's stuff in my shop in Homer, and the tourists are going to clean me out! Think I may have to buy it all cos I want to wear it all the time! Amazing creations and very well made, right here in Alaska! I purchased one of Tall Small's Alaskan artwork designs at a recent benefit for a friend, and he is an amazing free-hand artist who should be featured in a gallery! His shirts are pretty cool too.